It's an understatement when we say we love our dogs. They're family and a huge part of our lives. They have an innate ability to cheer us up on the gloomiest days, touch our hearts even when we shy away. So it comes at no surprise that we want to keep our pups happy and healthy. Read on for 5 Tips for Happy and Healthy Dogs beyond the usual vaccinations meant to improve your dog's nutrition and performance. Plus, you won't want to miss our amazingly simple and straightforward healthy dog treat recipe. 1) Exercise -This is a key component to happy and healthy dogs. Exercise is a fantastic way for dogs to release all that pent up energy and get healthy. When they're able to tire themselves out, it also makes them easier to train. I take them out daily when I can, however, I also try to include little trips with them especially if they're dog-friendly retailers. 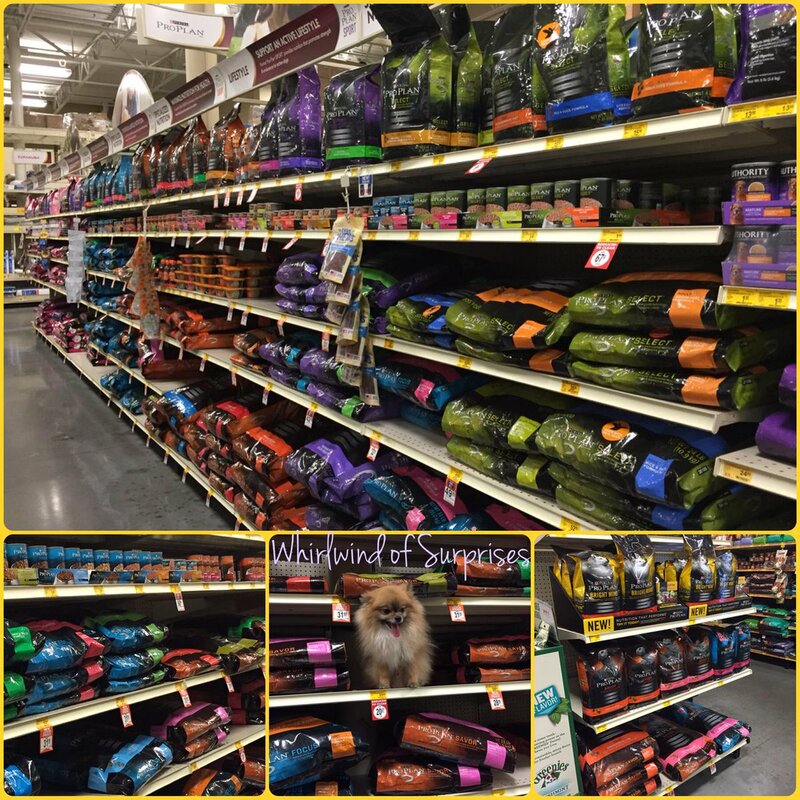 For example, I love taking JR and BabyPom to PetSmart when we shop for pet food like Purina® Pro Plan®, toys and treats. 2) Dog Food -Clean, fresh water is always important. When it comes to dog foods, I look at the ingredients. 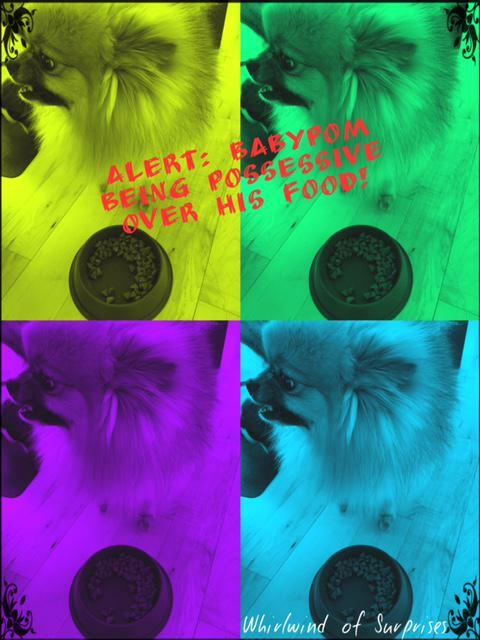 BabyPom and JR currently eat Purina® Pro Plan® and I vary the dry food depending on what's best for them, while ensuring that they enjoy the taste. In particular, we like that they use real chicken, beef, lamb or salmon as the #1 ingredient in all of the Purina® Pro Plan® dry formulas. For example, I typically feed them the Focus Sensitive Skin and Stomach Formula that utilizes salmon as the main ingredient and helps to promote healthy skin and a beautiful coat. When they get a bit overweight, I switch over to the Savor Shredded Blend Weight Management Formula that has chicken as the main ingredient. 3) Be consistent -Dogs are creatures of habit. Whether it's feeding, training, or correcting...it is important that the approach stays consistent otherwise the dogs receive mixed messages and thus, adherence is bound to fail. 4) Play -Yes, dogs love their exercise but they also love their play and better yet, they love it when you play with them. After all, you're their most important owner and friend. I vary the play between teaching them tricks and maintaining to just throwing and playing with their toys with them. 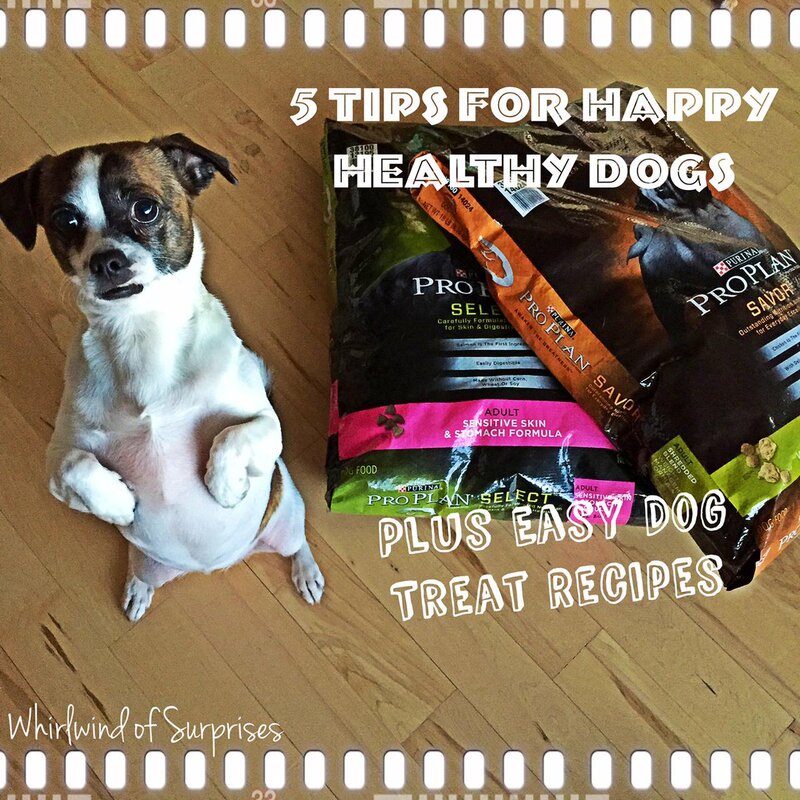 5) Healthy Treats -Treats have calories and just like obese humans, we can get obese dogs. Just like us, they can get heart disease, tooth decay, cancers and more. 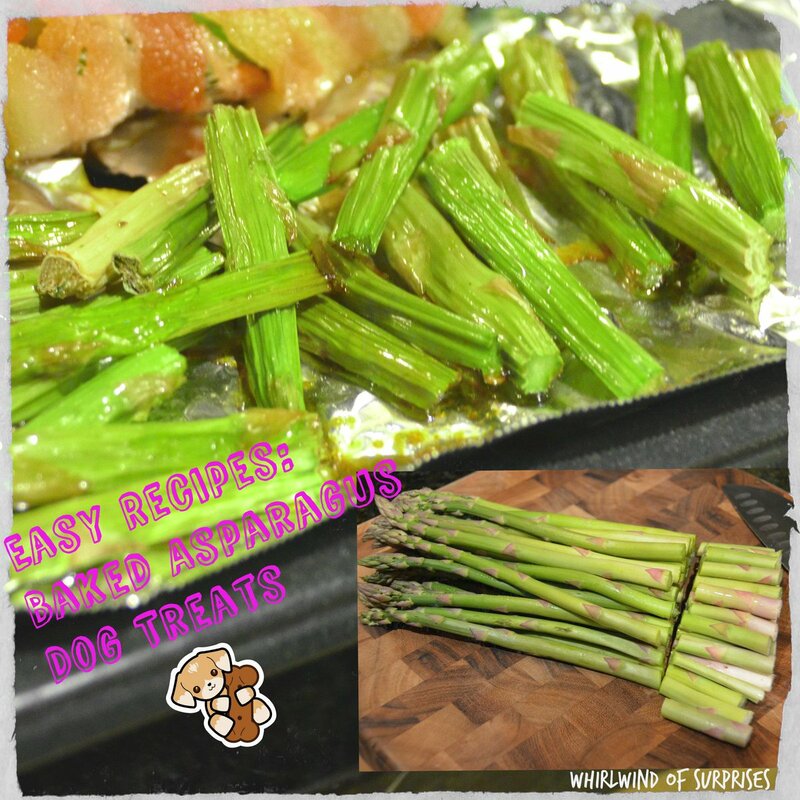 I occasionally give BabyPom and JR other treats but for the most part, I stick to dental treats or other healthy dog treats like our Easy Recipes: Baked Asparagus Dog Treats outlined below. Asparagus is safe for dogs, only the asparagus fern (the plant) is unsafe and can cause stomach upset. The high fiber content is great for overall digestive health and it's full of great vitamins like A, C, and folic acid. Best of all, it's a healthy vegetable that dogs love and cooking it easier for them to digest. 3) Lightly drizzle with olive oil. 4) Bake for 20 minutes. Cooking time may differ for different ovens. 5) Use paper towel to blot off excessive oil and grease. How do you keep your dogs happy and healthy? 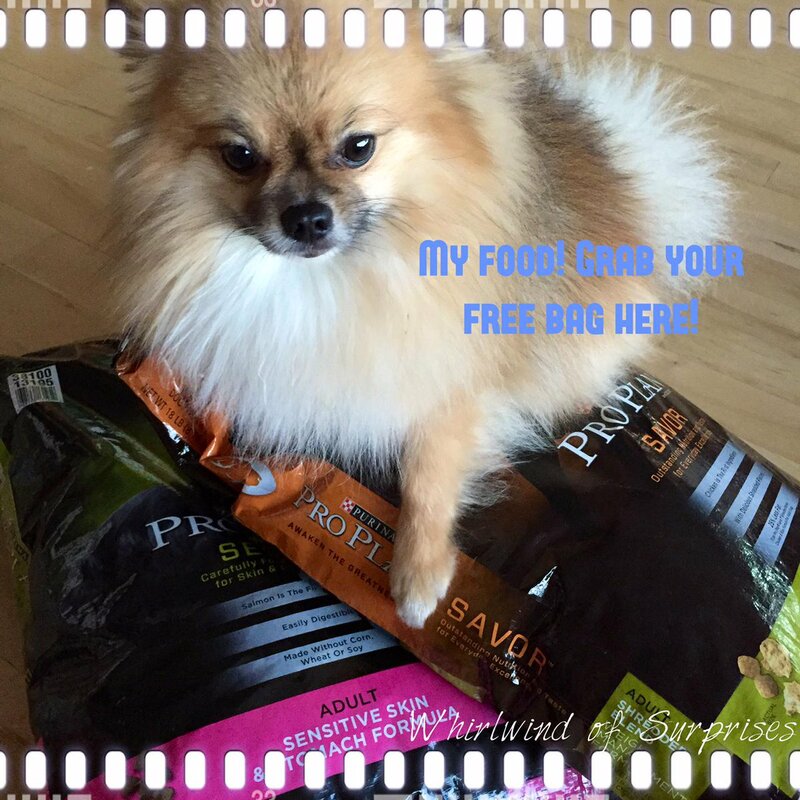 Does good quality dog food matter to you? Visit Purina® Pro Plan® MyPlan to find your dog's MyPlan recommendations and try it with a rebate offer for a FREE 4-6lbs bag of Purina® Pro Plan® Dry Dog food, valued up to $18.99. Valid in USA until 4/30/15. Good only in U.S.A. A.P.O's, F.P.O's. Void where taxed, prohibited, restricted. Allow 6-8 weeks for shipment. LIMIT ONE REQUEST PER INDIVIDUAL, ADDRESS, or EMAIL ADDRESS.